A gorgeous pair of large felt eyes will keep watch at your doorway! 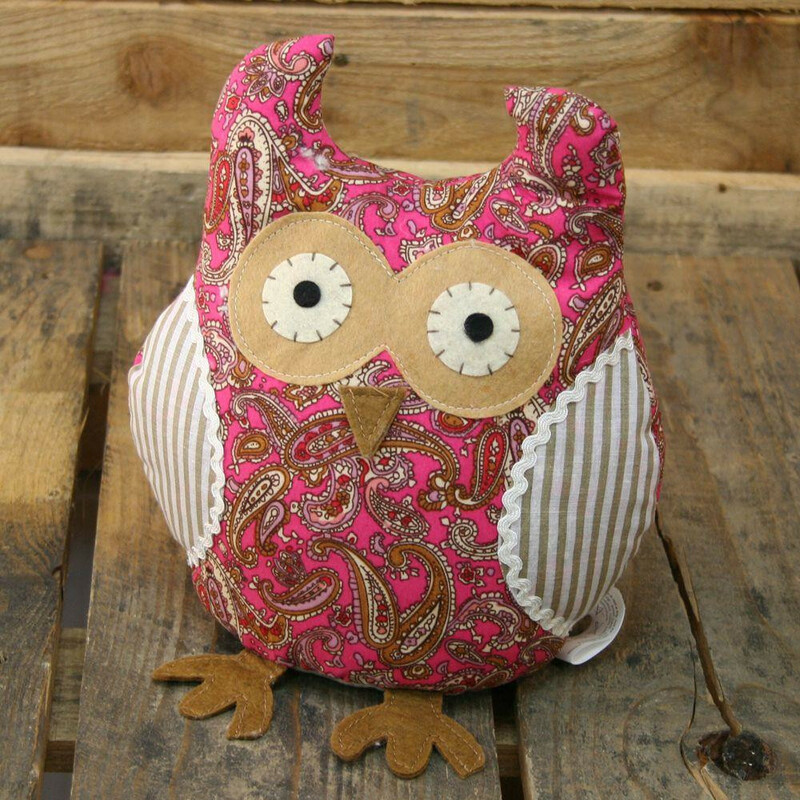 Owl doorstop is complete with with a felt beak and two felt feet that will keep him balanced when perching on your floor! Perfect for any owl lover, this gorgeous owl doorstop will fit in anywhere around the home. Paisley is well known and this hot pink paisley is mixed with pink, lilac and brown to produce a unique design.